BALTIMORE — Orioles pitcher Kevin Gausman was one out away from a quality start tonight but was taken out in the top of the sixth inning after hitting Miami Marlins third baseman Miguel Rojas with an inside fastball. Gausman still finished the start giving up just two runs on five hits while striking out seven. A stat-worthy noting is that Gausman also had 71 strikeouts to just 36 balls. Gausman has been inconsistent with throwing strikes since being called up to the Orioles. 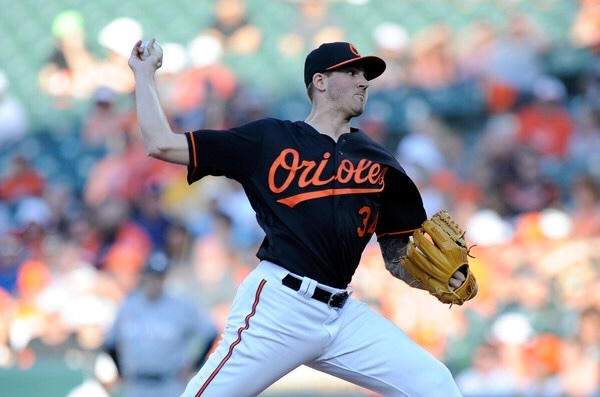 Gausman falls to 3-6 on the season adding another yet another loss to the Orioles rotation. Only one Orioles pitcher on the entire roster has a winning record (relief pitcher Richard Bleier, 3-0) and he’s currently on the disabled list. 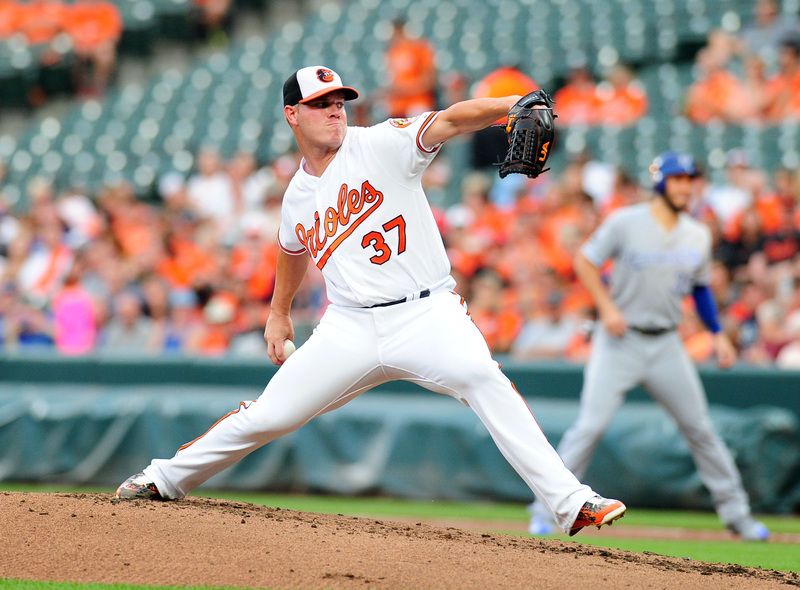 While Gausman pitched well, a starter on this Orioles team needs to throw a shutout at this point to boost any hopes of actually winning a game. The Orioles are 2-15 in their last 17 games averaging just 1.8 runs per game. So, as expected, the Orioles fail to provide any run support in a 2-0 series opening loss to the Marlins. In fact, they barely provided any hits tonight in general in thanks to Marlins starting pitcher Jose Urena who shut down the Orioles lineup the first time around. Tonight’s loss makes it eight straight for the Orioles and their eighth shutout on the year. But hey, there’s something to be excited about. Three Orioles hitters actually hit the ball tonight: Corban Joseph, Adam Jones and Manny Machado. 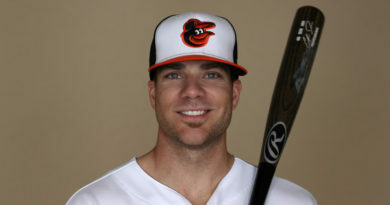 Joseph, brother of Orioles catcher Caleb Joseph, got his first hit with the Orioles in the bottom of the fourth with a hard hit single to right field. Caleb Joseph proceeded to give praise to his brother in a tweet. Major Congrats to my little brother @joseph_corban for his hard work and perseverance for 5 years since his last MLB appearance! You fought the good fight, you kept the faith. Now finish the race! Love you very much Bro! Not only is this Joseph’s first hit with the Orioles but it’s actually his first major league hit since 2013, where he only had one hit in six at bats for the Yankees in just two games. Joseph started at first base tonight in place for a struggling Chris Davis. Well, “struggling” is probably the lightest word possible to describe Davis’ season. As someone who is on pace to have the worst season by any MLB player in the league’s history, the team needs to find someone else to put at first base. With Bleier on the 10-Day DL and Davis benched indefinitely, maybe this is Joseph’s chance to shine and hopefully show the fans and the organization that the team has yet another out-of-the-woodwork player to be excited about. But in all honestly, there’s nothing left to be said about the Baltimore Orioles. This team could lose over 100 games and it’s only a matter of time before players like Manny Machado are traded away. Alex Cobb is set to take the mound tomorrow against former Orioles starting pitcher Wei-Yin Chen. Cobb is 2-8 with a 7.23 era while Chen is 1-3 with a 6.19 era. Facing a former teammate, maybe the Orioles can finally salvage that 20th win on the season.